We went to see what makes Maison Guinguet so special. 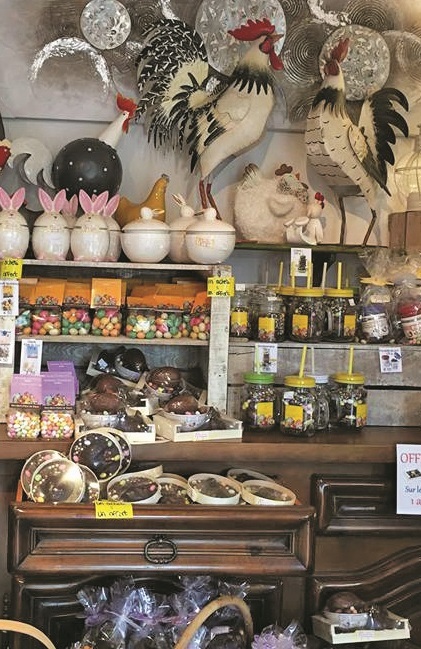 Who would have thought that at the end of a quiet hazelnut tree-lined lane in Duras you would find one of the region’s leading chocolatiers. Artisanale by nature, Maison Guinguet is world famous for its wide range of chocolates and innovative use of nuts andfruit to make different flavours and textures. 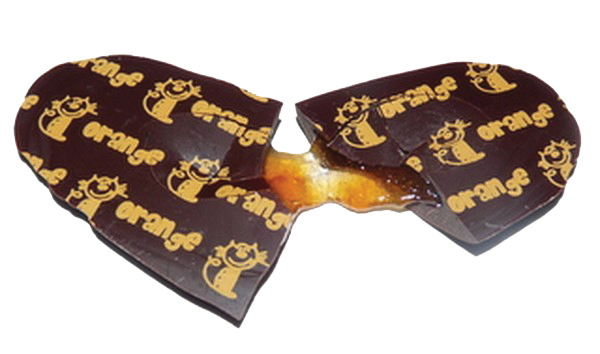 Taking pride of place amongst these are what are believed to be the thinnest langue de chats which are filled with soft fruit flavours, praline or ganache. Incredibly, as delicate as they are, the flavours are actually stamped on the chocolate! Maison Guinguet was formed in 1950 by Pierre Guinguet, a local prune trader. In 1972, Jean et Maryse joined him and the prune business took off. Later, Patricia and Sabine were added to the team to develop the chocolate side of the business. Prunes enrobed in chocolate were obviously one of their first tasks but this soon expanded into pralines, ganache’s, chocolates with fruit and, of course, caramel. One of their most fun ranges is the Chocisson. 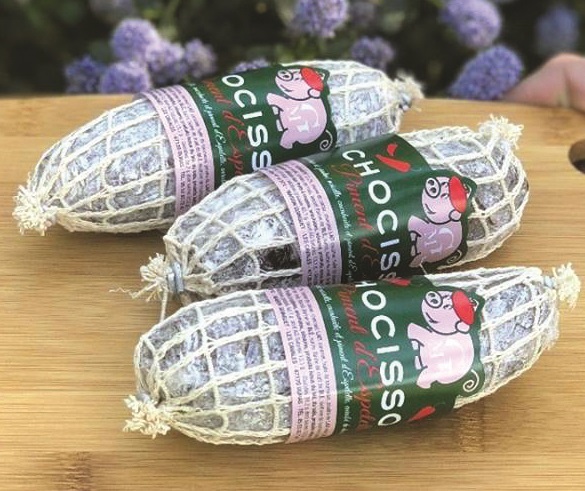 Complete with string, it looks just like a flour covered saucisson but, in fact, it is a lightly coated chocolate sausage made of milk chocolate or hazelnuts and crunchy caramel. Many a laugh is raised in the gift shop when people realise and, having tasted it, very few visitors leave without one. Today, Maison Guinguet is under new ownership. Frank Latrille of Fabrila is now working alongside fellow shareholders Sabine and Patricia to take the business forward. Expanding its exclusive outlets throughout France and developing additional export markets are on the horizon, as are new chocolate ranges. 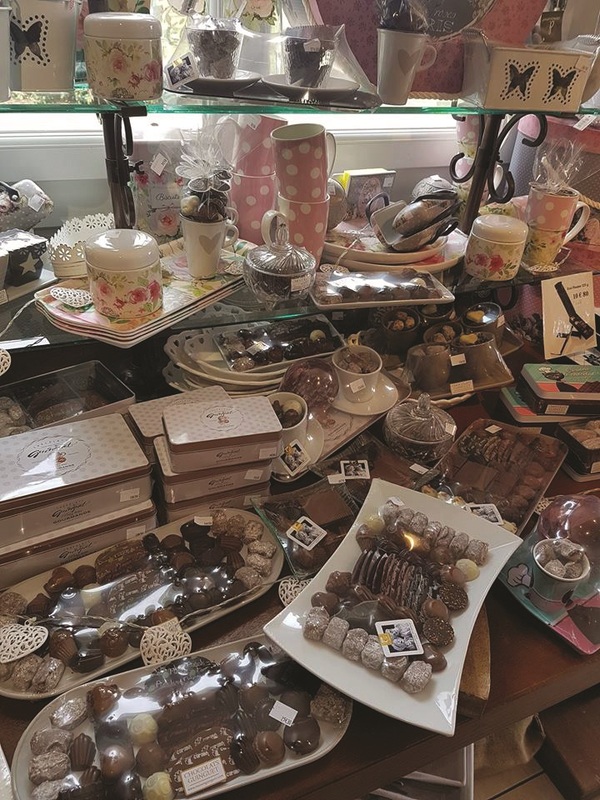 Employing 30 permanent staff and a further 20 in July and August, the factory stands in 4000m² plot with a gift shop full of themed gifts, such as pottery chickens, shabby chic knick knacks and crockery filled with chocolates. Dried prunes, apricots and specialist liqueurs are also offered alongside the white, milk and dark chocolates to tempt every type of tastebud. Open to visitors throughout July and August, the factory offers a tour. Every Tuesday and Friday, it starts at 11am and includes a video, an explanation of how the chocolates are made, and a tour of the factory, in both French and English. Best of all is the free tasting at the end! First published in the July/August issue of The Local Buzz.